If you need to remove the new suggested applications option from the Windows 10 Start Menu, and you need to push this change to a large install base of managed systems you have a few options. You can create a GPO to disables the feature if you are managing a domain, or you can modify the registry if you are using a Remote Management Suite to manage several domains and/or workgroups. Here is the registry value to disable the suggested applications. This command can be run from an admin command prompt to set the registry setting. This entry was posted in Scripting, Windows and tagged Fix, Scripting, Windows on June 7, 2016 by nightred. I have wanted to create a way to secure the communicates between the my VPS’s that are located at several geologically different datacenters. 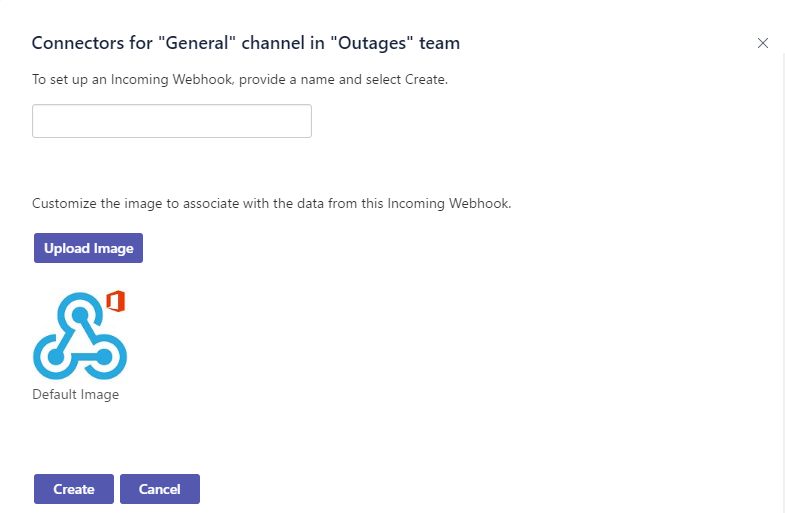 Normally each server being it’s own island is not an issue, but this does not work very well if you want the servers to communicate on a secure channel for monitoring and deploying configuration. This type of communication is normally done on an internal network that does not route publicly. Some of the more standard configuration options would be to setup a VPN, or host all the systems in one location on the same subnet. These options are all good but do provide the same interest as setting up CJDNS to route the traffic. Here I will cover how to setup CJDNS to communicate between two freshly installed Ubuntu 14.04 systems. First we need to install the the prerequisites to build the current version of CJDNS. Next we will need to download a copy of the project from GIT and run the build. CJDNS will use the tun device to communicate, we need to verify that it is working properly. If we see cat: /dev/net/tun: File descriptor in bad state then everything is working properly at this stage. If we see cat: /dev/net/tun: No such file or directory we will need to create the tun device by running the following commands. If we get the result of cat: /dev/net/tun: Operation not permitted it is likely that your VPS provider has not enabled TUN/TAP device by default. You will need to be activated the TUN/TAP device from the VPS control panel, or by creating a support ticket with your VPS provider. Next we need to generate the the config file. Now we need to make some changes to the config file. Open ‘/etc/cjdns/cjdroute.conf’ in an editor and make the following changes. Find the setting "beacon": 2; and change it to "beacon": 0; to prevent connections to other systems that are broadcasting. Find the line "your.external.ip.goes.here" in the "authorizedPasswords" section and replace it with your external IP address. In the same section locate the line "peerName":"your-name-goes-here" And change the value "your-name-goes-here" to a human readable name for the system like "CortanaRouter1". This is an example connection and will not work if used. We will now past this into the "connectTo" section for IPv4 or IPv6 depending on what the system. We will want to set one of the systems to print the log to the terminal for testing by changing the following settings. First we will set "noBackground":0, to "noBackground":1, and uncommenting the line "logTo":"stdout" in the config. Remember this step is for testing only will will need to be reverted after we have confirmed that the setup is functional. Now we will want to start the service on the systems by running the following command. To test if the connection has been setup successfully we will want to ping the IPv6 address assigned to the tun device. The IPv6 address is located at the start of the config file at the setting "ipv6": "fc1b:ddbd:29f1:39fe:95e8:122:4c30:f253",. Now that we have a CJDNS working we need to setup a proper init script to run on startup, and to control the service. I have modified the init script provided at https://github.com/ProjectMeshnet/CJDNS-init.d-Script/ to work with this guide, you can download it from http://www.jenovarain.com/blog/wp-content/uploads/2016/05/cjdns.txt. Run the following commands to download and configure the script. You should see Cjdns is running if everything is working properly. You should now have CJDNS setup and configured to start on boot and peered with both system letting you securely route data between the two systems. We have not covered restricting communication between the systems to only use this new route, and how to segregate peer connections if you connect to other CJDNS peers. This entry was posted in CJDNS, Scripting, Ubuntu and tagged CJDNS, Routing, Scripting, Setup, Ubuntu on May 9, 2016 by nightred. 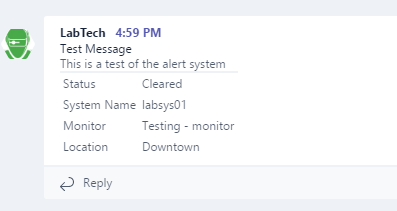 We have received many alerts on the error Event ID 4319 as seen below. Message Contents: A duplicate name has been detected on the TCP network. The IP address of the computer that sent the message is in the data. Use nbtstat -n in a command window to see which name is in the Conflict state. The cause of this issue has been systems that have more than one network card, this is more common in laptops that will use a hardline in the office. 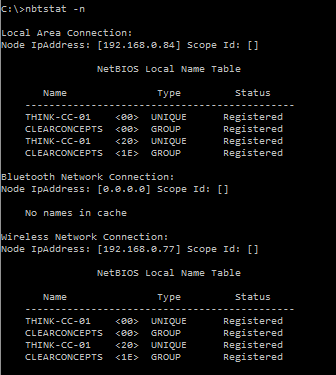 you can see this by using the command ‘nbtstat -n’ multiple network cards have the same NetBIOS name. To correct this behavior you could prevent both network cards from connecting at the same time, although that is not a viable tactic to us. What we have decided to do is disable NetBIOS over TCP/IP on the wireless card. If you are doing this remotely you can run the following commands. First you will need to know what the index number of your network card is, you can retrieve that with the following command. Result of setting NetBIOS over TCP/IP off. This entry was posted in Windows and tagged Error, Fix, Windows on October 1, 2015 by nightred. One of the ideas that is common to hear is ‘tomorrow will be so different’ and the recently more common ‘this will change everything’. The idea being that the next thing on the horizon will change the world in ways that we could never imagine and that is not going to happen to our civilization without a revolution in technology itself. Let us consider the example of the horseless carriage, or not since we have beaten that to death. Let us instead look to your home, it is a nice place, it has 4+ walls, a solid flooring, and one would hope a roof over your head. This basic idea has not changed much but our execution of this simple concept can now take us from a dry hole in a hill to any modern dwelling. but we have mastered the building style, tools, and knowledge to make a modern structure. The story of how the food go to your plate is a much better story to show how things change and yet can stay the same, contemplate the supply chain needed to get you that produce on time. We can see the changes coming that sound big take for example the idea that all stores will have robotic attendants, and all manufacturing is done by machines creating on demand custom handbag to the new kitchen counters. We can imagine this because it is already happening. You only need to look at manufacturing, farming, and distributors to see how they use more advanced tools like robotics to see how this will have a reduction in the need for humans on site. The shape of the world has is not changed from how it was, we are still going about our daily life handling many small items, doing a task, and interacting with others around us. The idea that things will change beyond our imagining is a farce to help us deal with change in general. We constantly change but we also adapt and accept the changes. Lets look at something simple like keeping your floor clean, wipe or pickup all the dirt if you do not have a broom or mop the carpet need to be beaten if you do not have a vacuum cleaner. Or jumping forward actually vacyume if you do not have a robotic vacuum. From this simple idea we can see that soon the laundry will be folded for you, the dishes cleaned, and put away. When you can go down to the local store and pickup a personal attendant for the cost of a small appliance it will be common place. and just like with robotic vacuums nothing will have really changed. We as a species do change more every day and at a faster rate then ever before but your life will not change fundamentally, it will just be improved like it was yesterday. This entry was posted in Thoughts and tagged Automation, Better World, Changing world, Humanity, Robotics on March 31, 2015 by nightred. If you are getting the error “The application failed to initialize properly (0xc0000135). Click on OK to terminate the application.” when you are launching an application you do not have the .NET Framework installed. You can go to http://www.microsoft.com/en-us/download/details.aspx?id=22 to download the .NET Framework from Microsoft. This can be an issue with XP systems as they do not come with .NET Framework by default, most Vista and newer systems will have .NET Framework 3.5 SP1 installed by default. Please remember that .NET Framework 4.0 is not backwards compatible with .NET Framework 3.5. This entry was posted in Windows and tagged .NET, Error, Fix, Windows on May 29, 2014 by nightred.